How do I go about booking? It is a very simple and hassle free service to set up, all that is required is an office space to set up in, and we provide the rest. As it is only 15/20 minutes, it can be performed during a coffee break, leaving the employee ready to return to work invigorated and with renewed concentration. From the initial contact with the client to delivery on site, we liaise about dates, times and number of therapists required and we tailor the best package to suit the individual requirements of your company. Just email us and we will discuss what package suits you best. How much space is needed? We can set up in any small to medium office or a quiet boardroom. Only a small area is required, 1.5m x 1.5m approx, with room for the therapist to set up the massage chair and have enough space to comfortably move around. How long does each massage last? Each massage is usually 20 minutes, but can book for 15 minutes or longer 30 minute appointments. For conferences/events we can provide shorter 10 minute massages. No, we don’t use any oils or creams, so employees will be able to return directly to a meeting after their massage. Do I remove my clothing? No, chair massage is performed fully clothed, this is why it is perfect for the corporate environment. Heavy jackets or jumpers may be removed for the full benefit of the massage. Are there any medical conditions for which on-site massage is not suitable? Please notify the massage therapist of any acute or ongoing medical conditions, recent injuries, allergies, pregnancy or if you are taking any medication before the massage. We will go through a short health check list before each massage and your therapist will advise during a pre-treatment consultation. What to expect from your massage? First of all, we run through a health checklist with each client, to ensure that they have no medical conditions or other complications, then we get them to sit comfortably on a specially designed chair, they are fully clothed and they relax into it. We normally start off working on the back, neck and shoulders, the main problem areas for those sitting at their desks all day. We gauge the level of stress and muscle tension and tailor each massage specifically to any particular issues the client is having at this time. Throughout the massage we always ensure that we are using the best pressure that suits the client and adapt it accordingly. Each massage is tailored to suit each individual. I’m pregnant, can I still get a chair massage? Absolutely. Massage can be very beneficial for women during pregnancy. However, be sure to let the massage therapist know you are pregnant so they can adapt the massage specifically for you, ensuring comfort and safety. Are your massage therapists insured? All our Stressless therapists are highly trained, experienced and fully insured and covered by Professional Indemnity and Liability Insurance and members of professional bodies. We provide copies of our insurance details to clients on booking. How many therapists will I need? 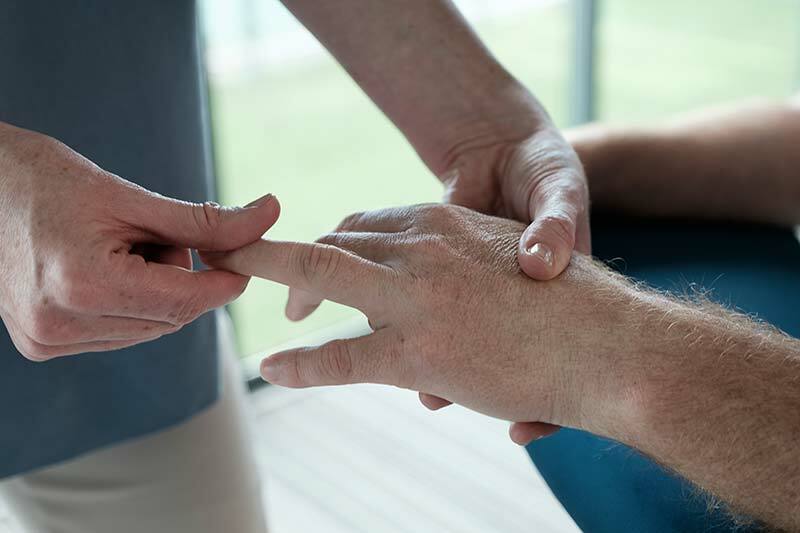 We’ll help you determine the number of therapists required, this is usually based on the number of employees, the budget for the service and the amount of time allocated for each massage. Will this disrupt my workplace? Absolutely not! We work unobtrusively in a quiet office or boardroom. It’s time efficient, cost-effective with minimal disruption to the working day. As it is only 15/20 minutes, it can be performed during a coffee break, leaving the employee ready to return to work invigorated and with renewed concentration. How far in advance should we schedule with you? This depends on the size and location of your event, the more notice we have the better and we will be able to accommodate your specific dates. Smaller events can be booked two-three weeks in advance, but larger events may require a month’s notice. But contact us as soon as possible and we will do our best to accommodate your chosen dates and specific requirements. Will employees become too relaxed to work? Employees will return to work refreshed and revived and with a fresh focus. They will be able to tackle the rest of their day with renewed concentration and energy. The cost is usually covered by the company, but in some cases individuals may contribute towards it, or it can be covered as part of a Sports and Social club or by the Employee Wellness Programme. How often do you normally visit a business? It really varies from company to company, some companies avail of this on a weekly basis, others every second week while others avail of it monthly or for quarter ends. It can also be booked as a one off day, as part of a corporate Health & Wellness week or a Health & Safety initiative or as an award or incentive at the end of a particularly busy time of the year or at the end of a project. What types of businesses hire Stressless? We provide therapists to all sizes of companies across a broad range of sectors, from small family run businesses, to community groups, up to medium to large international companies. We also provide massages for events and conferences. We bring the same care and attention to all our clients, no matter how big our small. We are equally comfortable in responding to the needs of a large scale corporate client as we are in working with small start-ups. From advertising agencies, to architects, food industry to hospitals and tech companies. We have built up a large loyal client base, with repeat customers who have been delighted with the service we offer.